I heard the sunsets would change now we have a cloud of volcanic ash from Iceland drifting over us. It was a clear night so without high cloud there was no red in the evening sky. 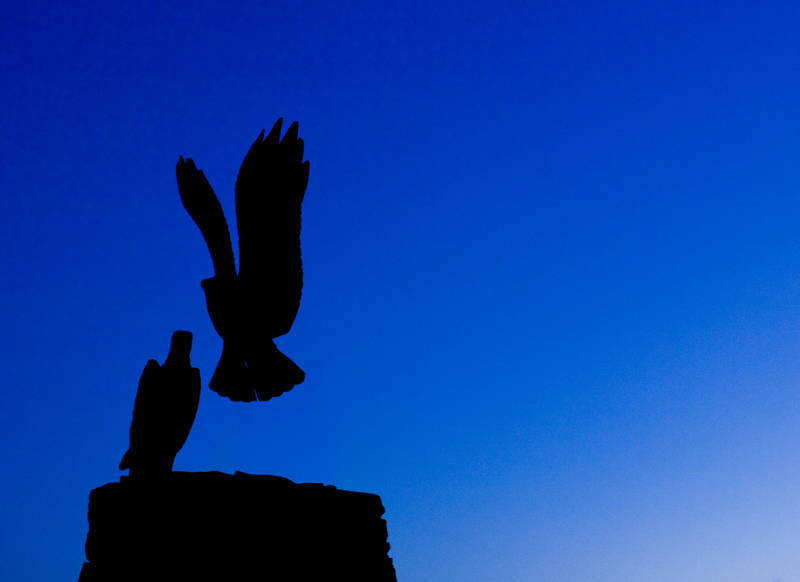 These are the silhouettes of two nesting osprey in Rutland. I have actually been looking to the sky lately myself due to the volcanic activity. I did see a difference in the sky the other day. Anyway, you did great here with the silhouette and blues. Has that been post-processed at all? It almost looks like an illustration given the uniformity of the colour of the sky. No post-processing this time. Only used Photoshop to develop RAW. This helps colour uniformity. For some reason it would not let me screen capture so I cannot show you the settings I used.